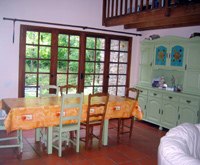 One of the beauties of buying a property in France is that, whatever your budget, there's probably something for you. The spectrum of opportunity and variety is astonishing. We've picked three properties to show what you can get for your money, whether you have 16k, 275k or 2.7 million Euros to spend. The chateau's vast, striking rooms make it appealing not only as a large family residence, but as a business opportunity. The moat which surrounds the castle gives it a distinctly mediaeval feel, yet the elegant restoration makes it a breathtaking living space. If your dream is countryside living with plenty of sunshine, then the second property is certainly for you. It's a homely property with a swimming pool and lots of space. For the same money, you'd be lucky to get a three bedroom flat in Ashford, Kent. Some of us can't help but want to bring things back to life. 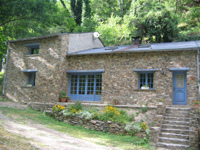 The renovation project is conveniently accessible by ferry and air and shows how cheaply you can buy property in France. A castle with a moat! 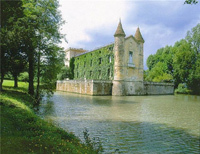 This property dates back to the 12th century when Aquitaine was under British rule. It is surrounded by a spring-fed moat, set in beautiful private parkland and possesses wonderful views over the Dordogne River. With four reception rooms, six suites, four further bedrooms, bathrooms, cellars and a 12 x 6m covered swimming pool with terraces, what more could you possibly wish for? Grandeur? Well you can have this too. This property has a stunning large Italian marble mosaic entrance hall with a stone staircase to the first floor. What's more there's a large double aspect dining room with magnificent fireplace and an intricate Italian mosaic marble floor. And of course, wine cellars. Extensive wine cellars. One of the joys of buying a property like this is the tremendous business potential. 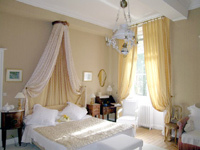 It has been elegantly and tastefully restored and decorated by its present owners to provide a delightful home - but could easily be used as a boutique hotel. 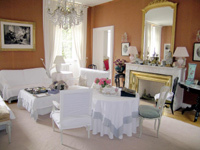 It is ideally situated in that respect, being only a twenty-minute drive to the centre of Bordeaux. This character 4/5-bedroom house really lives up to its name "L'Havre de Paix", translated as "Haven of peace". 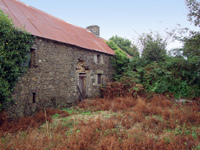 The property is set on 25,000m2 of land, mostly woodland. The current owners live here, in what was originally a fish farm, with their five children, dogs, cats, bunny rabbits and pet goat! 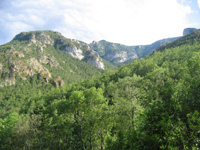 It is real country living here, perfect for those who want to be remote and away from it all. The property has a country family feel to it. Terracotta tiles, large oak beams, a Godin wood burning stove (which heats the whole house), a kitchen and kitchen bar looking out onto the dining room/lounge area and a long farmhouse style dining table set in front of the French doors which lead onto the terrace. The downstairs also consists of a bathroom, guest room, a large walk in larder area and separate utility room. The bedrooms upstairs lead off the balcony style landing that looks down onto the living area. What used to be a playroom is now used as the smaller bedroom (bedroom 5). The main master bedroom with its large windows and door leading outside to what was originally a terrace, also has an adjoining shower room and a staircase taking you up to a small mezzanine, which is used as an office. A chance to breathe new life into an old building? 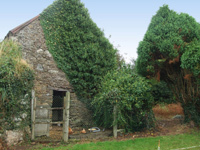 There is something about the idea of taking a rundown French property and restoring it to its former glory that seems to appeal to Brits in particular. 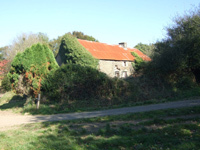 Situated in the heart of the Côtes-d'Armor in Brittany, this building requires complete renovation. The surface area of the property is around 70m2, but you could probably put another floor in, giving a total potential living space of 140m2. There is also a small plot of land and electricity and water are nearby. "Taking on a renovation project can be hard work. There a lot of things you should look into before buying, such as planning permission, any outstanding ownership disputes and of course, the cost of renovation," says Andrew Rowe, Customer Relationship Manager for French Property Links, "but the rewards of a successful project can be great whether you intend to make money or use the house yourself." You're probably thinking that such a beautiful building for just over 16,000 Euros is too good to be true. But there's more. The location of this property is superb. It's only a couple of minutes away from the busy village of Plougonver and not far from Guingamp. Like many other towns and villages in the region, Guingamp has a rich and interesting history. This is exemplified in the remains of Guingamp's three castles, razed to ground level by the order of Richelieu - now only three towers remain. For lovers of history and architecture there is much to discover in Guingamp. This property's situation in northern France makes it easy to reach and a possible location for a weekend retreat. The ferry port of St-Malo is only an hour away and Ryanair fly to Dinard from Stansted. There are also airports at Brest, Nantes and Rennes.